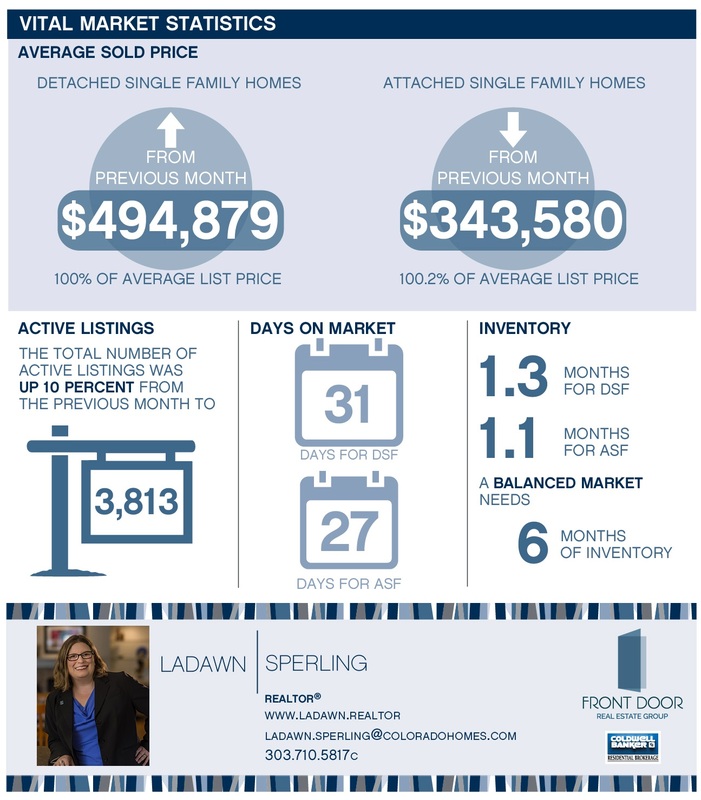 • 61.5 percent of closed homes sold at or above asking price. * Assumes a 30-year mortgage term at 4.5 percent, 10 percent down payment, 4 percent buying costs, 1 percent property tax, monthly costs (maintenance, insurance and utilities), 6 percent closing costs and renting costs including insurance, deposit and 2 percent rent appreciation. This update is based on information from REColorado®, Inc. provided by Land Title for the period of Feb. 1, 2018, through Feb. 28, 2018, for Adams, Arapahoe, Broomfield, Denver, Douglas, Elbert and Jefferson Counties. Note: This representation is based in whole or in part on content supplied by REColorado®, Inc. REColorado®, Inc. does not guarantee nor is in any way responsible for its accuracy. Content maintained by REColorado®, Inc. may not reflect all real estate activity in the market.